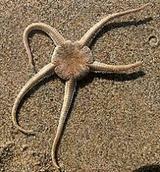 They are echinoderms in the class Ophiuoidea closely related to the starfish. They crawl across the sea floor using their flexible arms for locomotion. 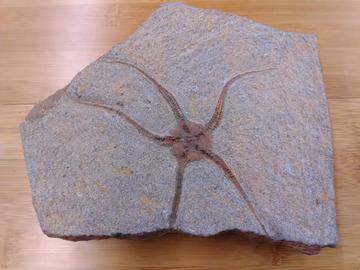 The ophiuroids generally have five long, slender, whip-like armswhich may reach up to 60cm in length on the largest specimens. They are also known as serpent stars. Many of the ophiuroids are rarely encountered in the relatively shallow depths normally visited by humans, but they are a diverse group. Over 2,000 species of brittle stars live today. More than 1200 of these species are found in deep waters, greater than 200 m deep. Size: 7 1/2" x 8 1/2"
*This item comes with an information card.